Episode 49 is available in our episode archive. No? No, c’mon of course the answer is always YES BABY YES!!!! 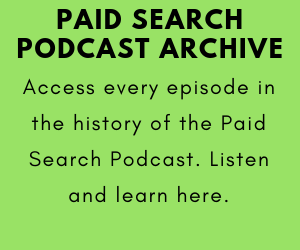 On the 49th edition of the Paid Search Podcast, Chris interviews Jason on how to manage high volume, high spend Google AdWords accounts. 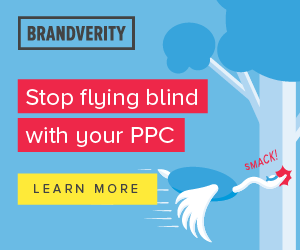 Jason has a lot of experience managing really big AdWords accounts, and the guys covered a ton of information on this episode. Chris asks Jason questions about his background and experience managing large AdWords accounts, what an account manager does all day to manage large accounts, how often he changes ad copy and reviews search terms, if he uses any tools to help him manage the large accounts, and some other interesting questions. 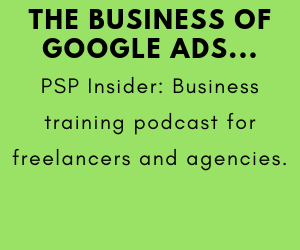 And then Jason closes out the episode giving some great advice for anyone who is planning to manage or run a large AdWords account. Please share the show with friends and colleagues, we really appreciate that! 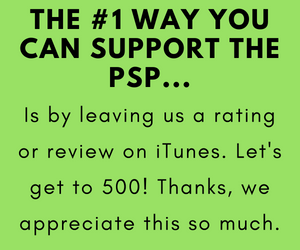 And please leave us a review.